DomainTheNet Review 2019: Is DomainTheNet a Good Hosting? DomainTheNet is an Israeli website hosting company that offers basic services for shared hosting. Unfortunately, many of their advanced features are only available for a fee. 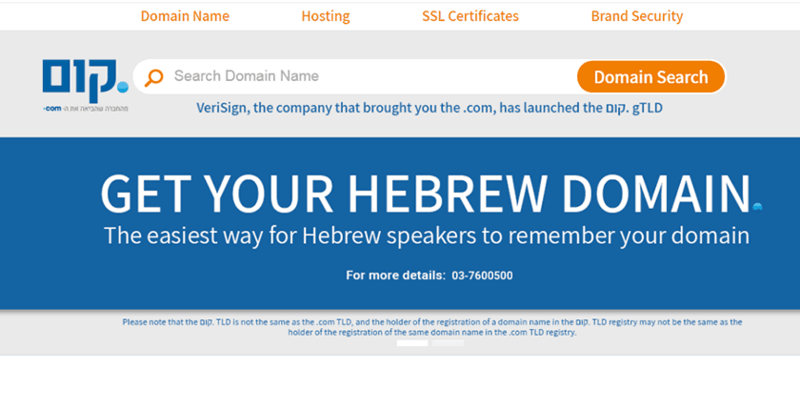 DomainTheNet is Israel’s only licensed registrar and offers a variety of web hosting services. While their hosting plans provide excellent storage and bandwidth, they are quite limited in features, and you’ll need to pay up for many features that other web hosts offer standard. DomainTheNet offers shared hosting services with basic features that are great for setting up a single website but don’t expect a lot in the way of advanced features. All of their plans come with a basic set of features including ample storage and bandwidth, one MySQL database, and between one and 100 email accounts. Unfortunately, there are not many advanced features, and those that are available are only offered for a fee. For example, you must pay for backup services, additional databases, larger mailbox sizes, antivirus and anti-spam protection, and SSL certificates. However, one advantage of using this service is that your email storage is not included in your website storage. That’s helpful for those who plan to use their email for campaigns, primary contacts, or other services that require more substantial storage requirements for email. Beginners might run into issues here as they don’t offer a website builder and only appear to support WordPress and Joomla auto-installers. For others, there is cPanel access to create your website. Other sites have more robust auto-installers or website builders, so this may not be the best option for true beginners. General plan features are solid and suitable for single websites. The basic plan is best suited for small and low traffic website. The Advance plan will be more than adequate for most sites. However, there are a couple of notable caveats to using this host. First, you don’t get a free domain name and you also only get to host a single domain regardless of the plan. If you need an SSL certificate, you’re going to pay for it. While the hosting may be cheap, by the time you consider the added costs and limits on domains, other providers may be more suitable. DomainTheNet’s support is barely average compared to other hosts. They presently only offer telephone and email support in Hebrew and English. Phone support is not toll-free, and they lack any form of live chat support. While they do offer a knowledge base that they call a training area, it is somewhat basic and puts too much focus on email accounts. With that said, one thing I like about their website set up in general is that they offer accessibility features for the disabled. It even has settings to make the site more accessible to those who are color blind or have a sensitivity to blue light. I wish they paid as much attention to their support section as they did to their accessibility features. Wondering how DomainTheNet stacks up against other Web Hosting companies? Enter any other Web Hosting company and we will give you a side-by-side comparison.